If you think of learning as a series of activities you are fragmenting the learning process. There is a great distance between learning as an experience of performance and learning as a process of understanding. What does it mean to be a learning community? How might a pedagogy of relationship serve us to reconsider every day practice? What does it mean to engage with pedagogical collaborations? 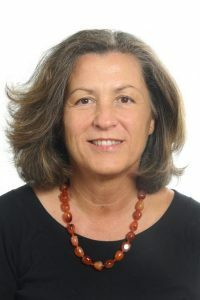 Tiziana is a pedagogista and collaborator with Reggio Children. She worked as a pedagogista for the municipality of Reggio Emilia, Italy for over 30 years, and was also responsible for the Documentation and Research Centre at the Loris Malaguzzi International Centre. She is well known for her contributions to the Wonder of Learning and Hundred Languages exhibits, as well as many publications, including Making Learning Visible. Morning coffee and lunch will be included both days. A special nightly room rate of $189 at the Coast Coal Harbour Hotel is available for conference participants.